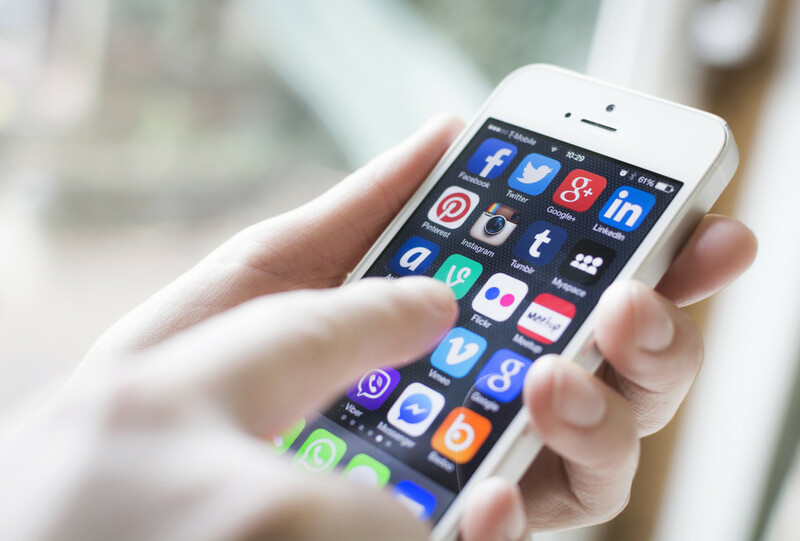 The Pew Research Center makes it a point to study the topic twice each year in order to stay on top of the latest shifts in social media usage trends. Pew has just completed its latest report, and what it shows are some findings that confirm longer-term trends along with several evolving new narratives. 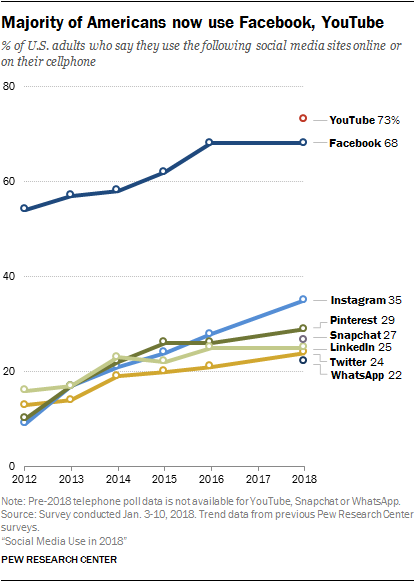 One thing hasn’t changed much: Facebook and YouTube continue to dominate the social landscape in the United States. Facebook remains the primary social media platform for most Americans – with two-thirds of U.S. adults reporting that they use Facebook, and three-fourths of those saying that they access the platform on a daily basis. What this means is that half of all U.S. adults are going on the Facebook platform every day. If anything, YouTube is even more ubiquitous – at least in terms of the percentage of people who access the platform (nearly 75% of the respondents in the Pew survey). But the frequency of visits is lower, so one could say that the platform isn’t as “sticky” as Facebook. So, as the current population ages out, social media participation should go even higher. But what about the composition of platform usage? Within the 18-24 age group, Snapchat, Instagram and Twitter are used significantly more when compared to even the next oldest age group. Most dramatically, for Snapchat the participation level is ~78% for the youngest group compared to just ~54% for those age 30-49. Pinterest is much more popular among women (~41% use the platform) than with men (just ~16%). WhatsApp is particularly popular among American Hispanics (~41%) compared to blacks (~21%) and whites (~14%). LinkedIn’s niche is upper-income households ($75,000+ annual income), which correlates to higher education levels. Half of American adults with college degrees use LinkedIn, compared to fewer than 10% of those with a high school degree or less. More detailed results from the Pew Research study can be found here. ← Is the future of printed books written in disappearing ink? The demographic differences shouldn’t surprise anyone. The last thing most people over 65 want is to be flooded with new acquaintances and engage in networking. They’ve done that. Over age 65, Email is more than adequate for keeping up with the friends you have. In this new era, Facebook seems mostly now to be about political rage. It was mysterious enough for people of a certain age when going to Facebook meant you had to look at a picture of someone’s half-eaten meal. Now you have to look daily at whatever political fur-ball your friends upchuck on the table. Facebook has become Orwell’s “Fifteen Minutes of Hate”. And I do. I hate it!